The pictures below were provided by Scott Kingsley, WB1F, and were the property of his late father Arthur B. Kingsley, N1FAS. Art worked both at Millen and previously for National just as James Millen himself. 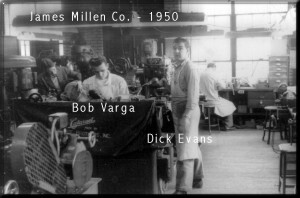 These are from the Millen Factory at 150 Exchange Street in Malden, Massachusetts. 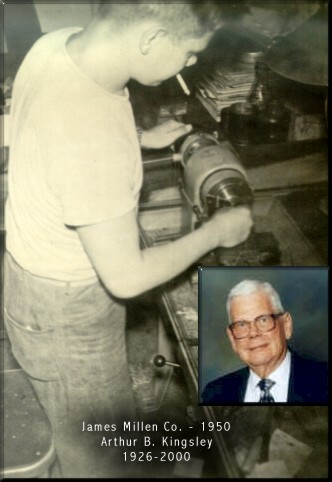 Scott was quite young at the time his father worked at Millen and was not able to provide any more detail of the people in the left side picture. If any readers of this page have more information or additional pictures please contact the JMS for their inclusion.